What is the USDA Hardiness Zone System? America has a very diverse landscape with a wide variety of climates and temperatures around the country. Knowing how various temperature and weather conditions affect your succulents and cacti is essential to their survival if you are planning on growing them outside. 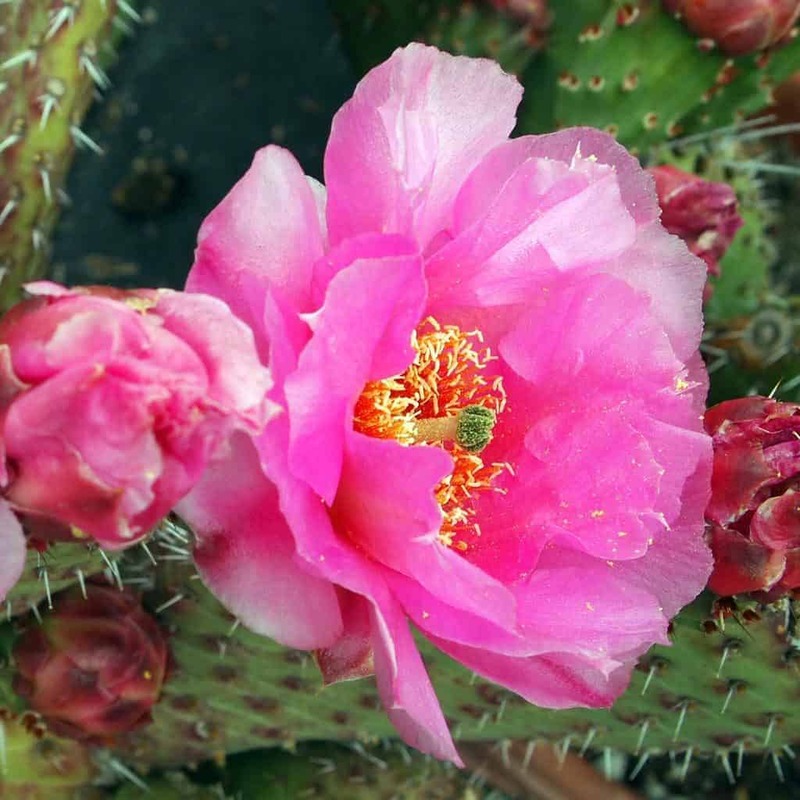 Knowing your specific Hardiness Zone is especially useful, so read on to find out more about the Hardiness Zone your succulents and cacti are in and how to protect them. At the most basic level, the Hardiness Zone system just estimates the lowest possible temperature for a given region. First published in 1927 and updated most recently in 2012, the USDA Hardiness Zone System is a guide designed for gardening and landscaping. It features 13 zones that encompass the United States in its entirety, each zone detailing the extreme minimum temperature for that area. The zones range from Zone One, with a minimum temperature range of -50°F to -60°F all the way to Zone Thirteen, with a minimum temperature range of 60°F to 70°F. For even greater specificity, due to some temperature overlap, each zone is again divided into A and B. Further dividing the zones into two 5°F sections means greater specificity for each location, as some areas have a more definitive minimum temperature. Generally speaking, in the continental United States, most of the warmer zones are located in the south and towards the middle of the country, as well as along the southern coastal areas. The middle zones are around the middle of the country and along the central and northern coastal regions. The coldest zones are towards the north obviously, and center of the country. 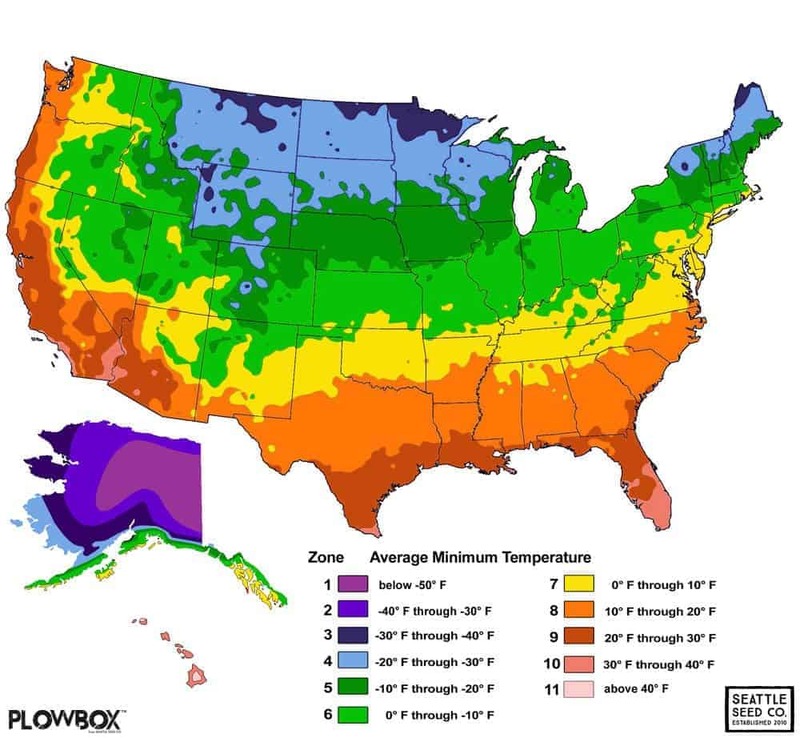 Hawaii and Puerto Rico are home to the warmest zones, while Alaska has the coldest. You can find out your specific zone by using the electronic system available on the USDA website here. By entering your zip code, you can discover your general numbered Zone as well as whether you are in the A or B section. Plants are, more often than not, labeled with a Zone recommendation. The descriptor is used as an indicator of how hardy that particular plant is and the lowest temperature they are able to withstand and survive in. For example, a plant labeled ‘Hardy to Zone 6’ can handle a minimum temperature of -10°F to 0°F during the winter. 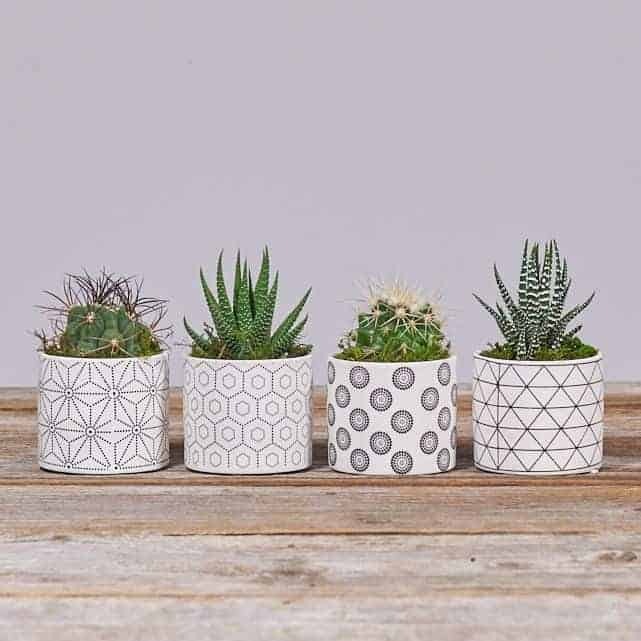 Knowing your Hardiness Zone and that of your cacti and succulents will help you to plan ahead and ensure the health of your plants. If your zone is colder than the labeled Hardiness level, that particular plant is unlikely to survive the winter in your area. Succulents are a mixed bag when it comes to hardiness, with some species able to withstand significant temperature drops while others need considerably warmer weather to thrive. Arid succulents, such as Euphorbia, Lithops, and Adenium prefer the overnight low temperatures to hover somewhere between 50°F to 55°F and, as such, would not be suited to being planted outside in the lower zones. Any succulent considered a ‘soft succulent’ or ‘tender succulent’ is not suitable for cold temperature zones. While they are drought-resistant, they are probably not hardy enough to survive the cold. If you’re looking to plant your succulents outside and are located in a colder zone, try looking at some Sempervivum. These hardier succulents are able to tolerate frost and withstand freezing temperatures. They survive particularly well in dormancy under a lasting blanket of snow. 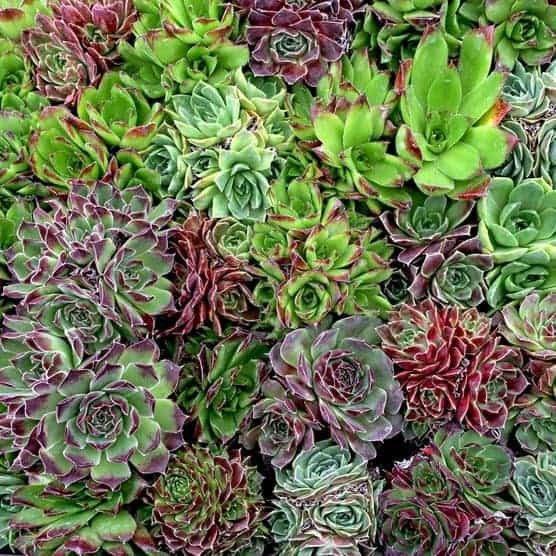 These Sempervivum beauties can be purchased at Mountain Crest Gardens by clicking this picture! 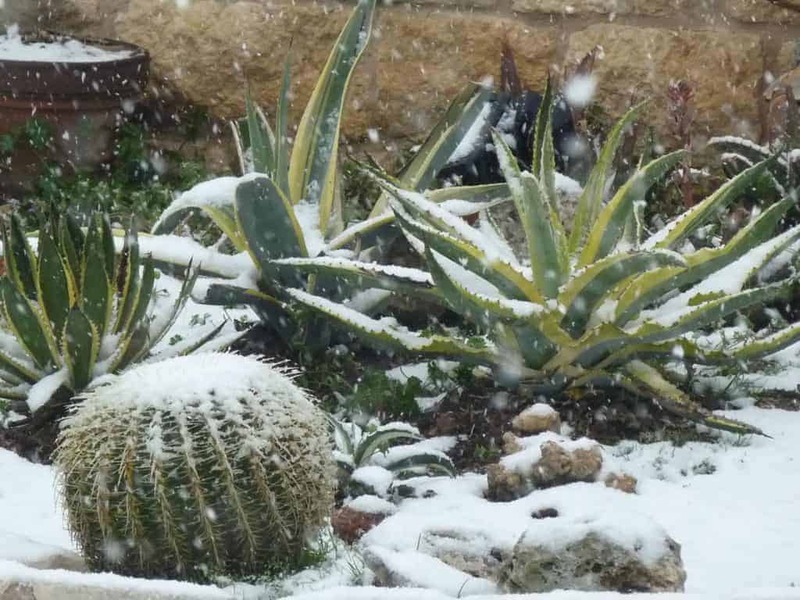 The snow acts as a barrier, keeping the succulents protected from harsh winds and sun which could cause them to be burned. Thick snow also insulates – it’s usually a bit warmer under there. In areas where snow cover is not as constant they stand a chance of being damaged by the cold weather. Some other species of cold-hardy succulents include Sedum, including S. reflexum, S. spurium, and S .kamtschaticum, and Orostachys. Some Agaves are also suitable for planting in colder zones, including chrysantha (Golden Flowered Century Plant), havardiana (Harvard agave), nickelsiae (King of the agaves), and univittata (Quasicolor). Mountain Crest Gardens is an online nursery well-known for their extensive selection of cold-hardy succulents. Check it out! There are some succulents that can withstand frost and even freezing temperatures, provided they are kept completely dry. Still, it’s is not recommended to keep most succulents outside if you are in a zone which drops below 40°F overnight. These zones include Zone One through to Zone Ten. The takeaway here is this: Don’t plant succulents outside if you are not in Zone 11, 12, or 13. There are a few hardy species of cacti that are able to tolerate freezing weather, much colder than the succulents are able to. In Hardiness Zones where there’s a consistent layer of snow during the winter, these cacti survive particularly well. Some of these hardy cacti are part of the prickly pear family, AKA Opuntia. For example, Fragilis cacti are able to withstand minimum winter temperatures of up to -35°F, and Poryapantha up to -25°F. They are suitable for gardeners in the colder zones. Another kind, Echinocereus reichenbachii, also known as the hedgehog or porcupine cactus, is cold-hardy up to -10°F. These Opuntia are also at Mountain Crest Gardens! 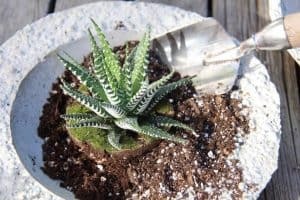 If you are determined to keep your cacti and succulents outside in winter, here are a few extra tips to keep them safe! We also wrote a whole guide about overwintering your succulents! Many succulents and cacti change as they enter dormancy during the colder months. Shrinkage and some discoloration are typical signs that growth is slowing or has stopped. Keeping the soil around the plants as dry as possible will help with entering dormancy. Remember also to stop giving the plants fertilizer supplements during the fall. If your winters are particularly rainy, be sure to plant your cacti and succulents in a sheltered spot. But make sure gets enough winter sunshine too. If this isn’t possible, you can protect your plants with transparent covers. Be sure to leave enough room for air circulation, which will help to prevent dampness. Covers are also available for frost protection, made from materials such as burlap and other fabrics. Be sure that the material is not touching the plant and only keep them covered for a short time. Those plants still need sunlight and circulated air during the cold months!